The wedding season is on, and we're all in a frenzy thinking about what to pick for the big day. But Raj Gharana gave us a sigh of relief when we stumbled upon it while casually strolling through the lit-up streets of the Lokhandwala Market. From bridal lehengas in gorgeously elegant pastels, to tangy red anarkalis and shararas, this store seems to have the best of the lot. And once you enter, you cannot help but buy something. The store has all things shimmery but classy. You can also buy gowns for a reception or parties, or invest in a chaniya choli for this year's Navratri! You can visit their other branch in Malad's Natraj Market, or head to the one we're talking about. And placing orders online is also an option. 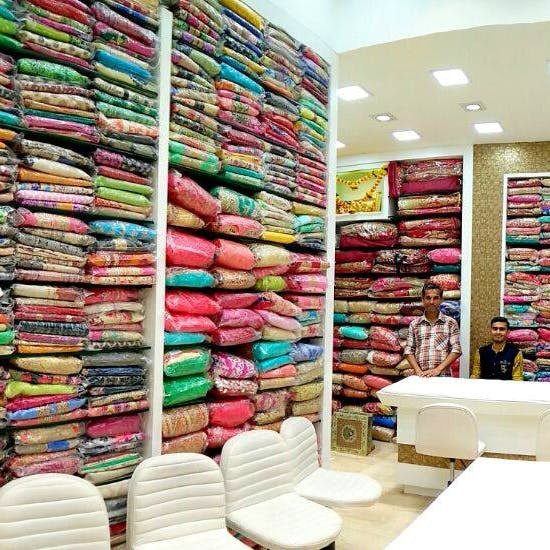 Don't forget to check out their pastel lehengas when you go. Happy wedding shopping to you!